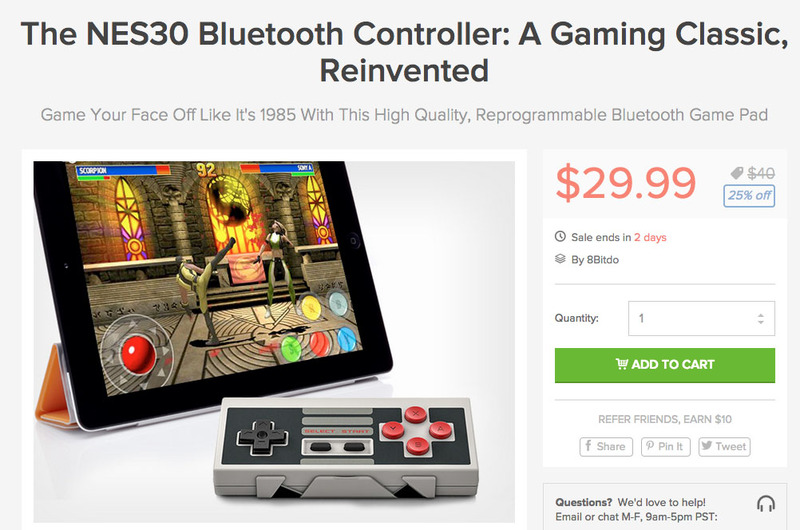 I know that we have written this NES30 Bluetooth controller up a couple of times already, but many of you seem to be excited about it and we didn’t want anyone to miss out before it goes away. This deal is only around in the DL Deals shop for two more days. At $29.99, it’s actually a solid deal if you need a fun take on a controller that can be paired with your phone or tablet. Outside of being an affordable controller, it’s also awesome for the simple fact that it was made to look like an old NES controller that should bring back plenty of happy childhood memories. Again, two days left. $29.99. NES-style. Get some.